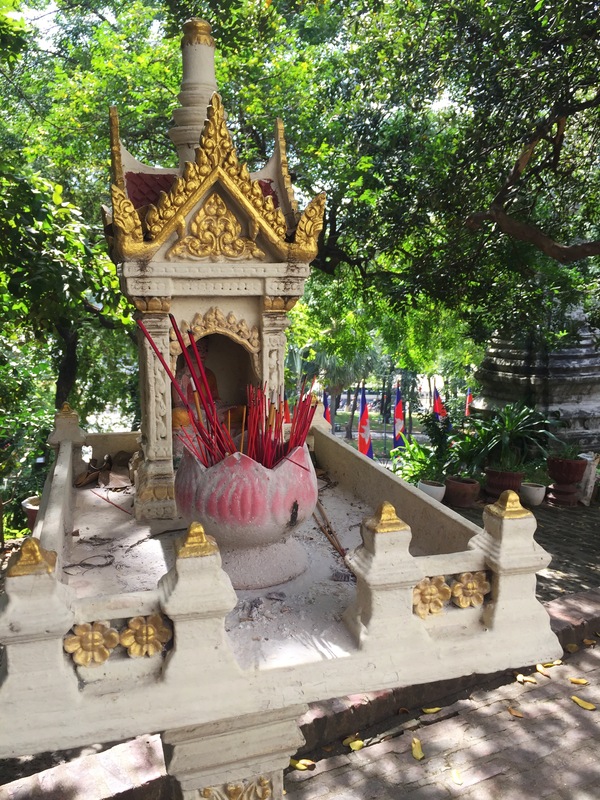 Not so long I was contacted by a Elana Sztokman, an anthropologist and award-winning writer specialising in women from traditional societies. 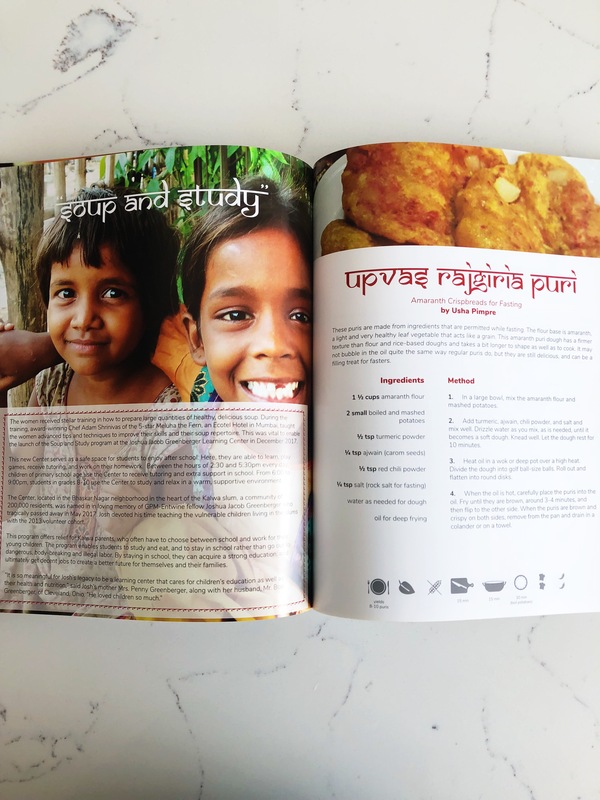 She has written an Indian cookbook, which tells the inspiring story of a group of sixteen Indian women from the Kalwa slum in Mumbai, changing their communities through food and love. The slum is home to over 200,000 people where clean water and electricity are hard to find. These harsh conditions often prevent children going to school, with many being sent out to work to make a few rupees so that they will have something to eat. These women are changing all this by making sure the children eat and learn, and consequently changing their otherwise inevitable destiny. 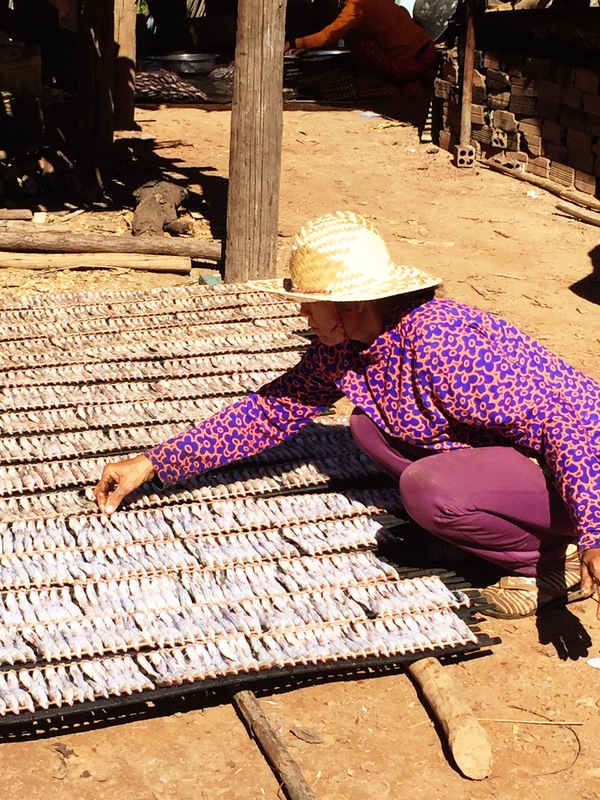 Each morning the women rise early to prepare a host of delicious, nutritious vegetarian food for the children. In one year alone they cook 257,400 meals. They deliver the food to the Love2Learn school, run by the the NGO Gabriel Project Mumbai, where the children know that if they show up to learn, they will eat. It’s a win win. The children learn, have nutritious food and thus begin to end the cycle of poverty they are trapped in. The women feel inspired and thrive and thus the children and communities thrive around them. 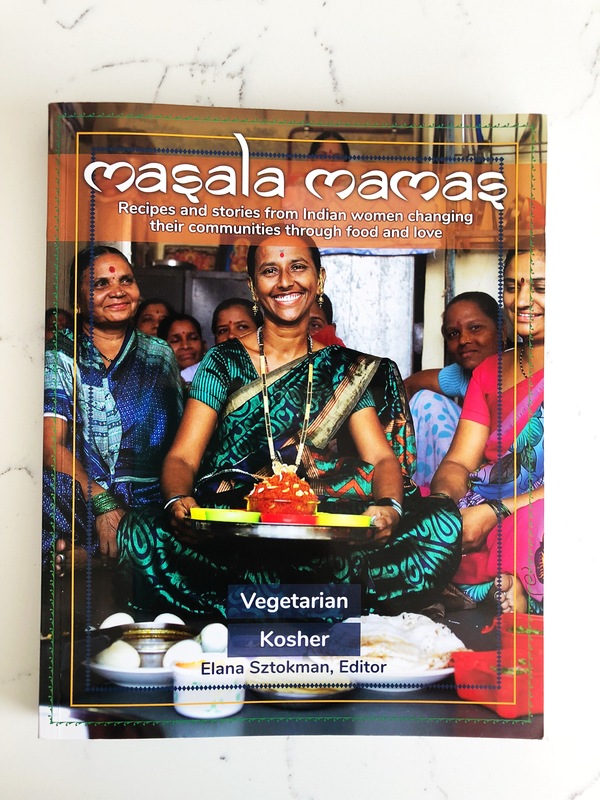 The book that Elana has sent to me – ‘Masala Mamas’ incorporates recipes and stories from all these Indian women. It’s a joy to read, hearing about the rural villages the women have originally come from and how they came to the sprawling metropolis of Mumbai in the hope of giving their children an education, which most of them lacked. 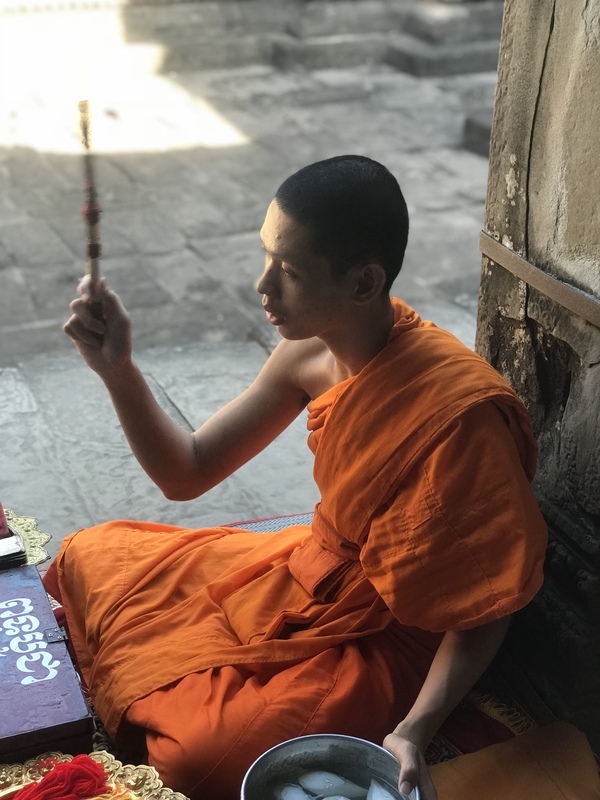 The group has provided kinship, connections and a purpose, which is motivating them every day. 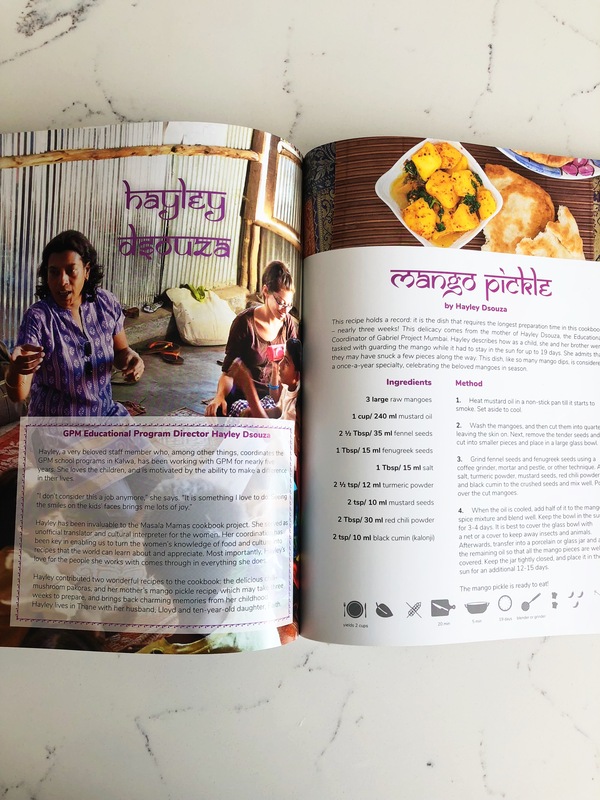 All the proceeds from the sale of the cookbook go directly to the women of the Masala Mamas cooperative. You can order a copy for yourself here. On Mondays the children eat poha – rice flakes with vegetables. On Tuesdays – dal khichdi – lentil and rice stew. 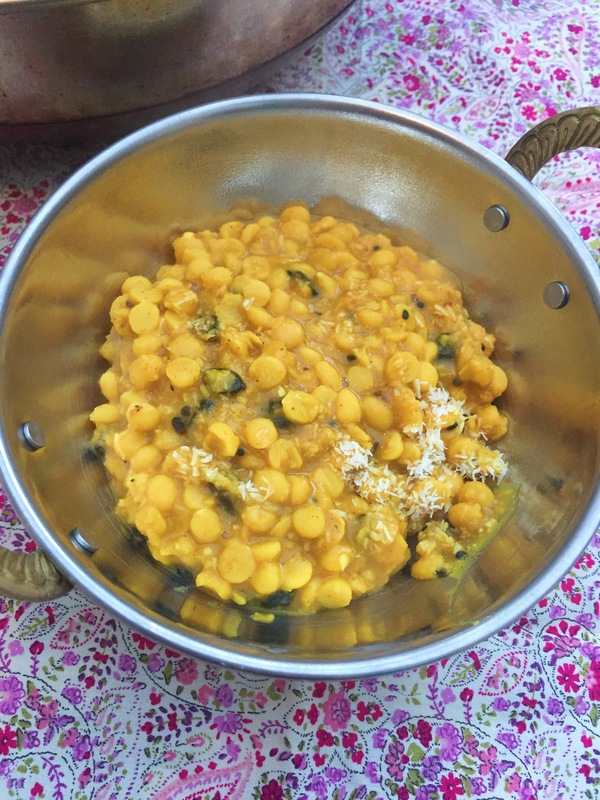 On Wednesdays – chana dal – black bean curry. On Thursdays – veg pulav – a pilaf made with mixed vegetables. On Fridays – soya pulav – a stew made from soya chunks, an affordable and simple source of protein. And on Saturdays, as a special treat, the children eat sheet – a kind of sweet semolina pudding that they particularly love. And for special occasions and holidays, the women prepare special holiday fare like shankarpali and modaks. 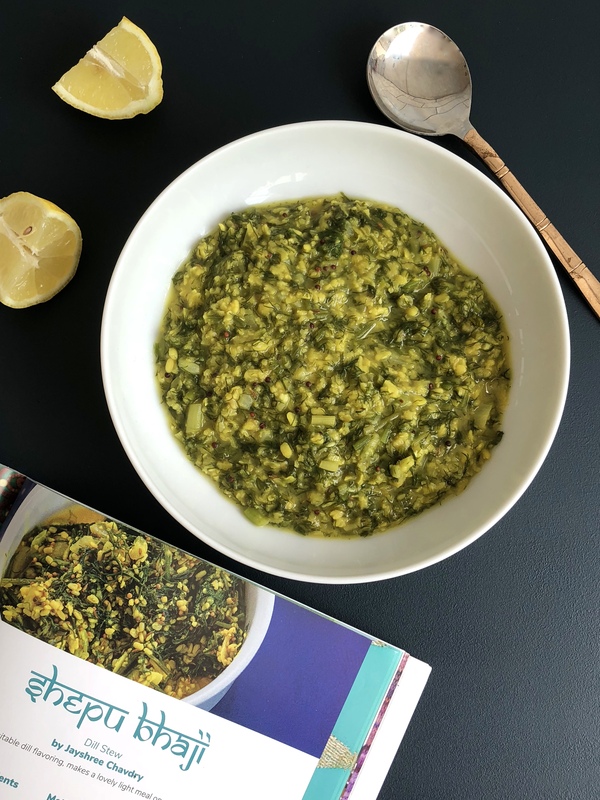 After a lot of pondering on which recipe to show you I ended up gravitating towards the ‘Dill Stew’ or ‘Shepu Bhaju’ by Jayshree Chavdry. 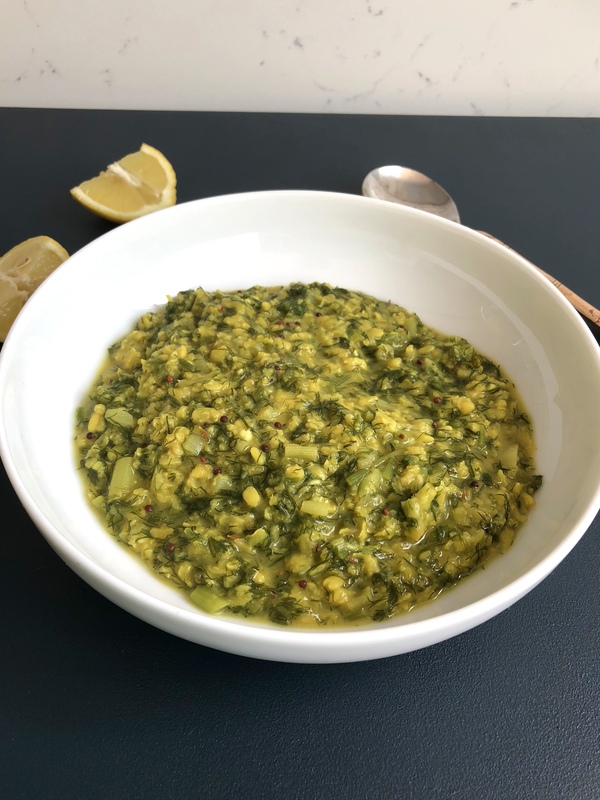 It’s basically a dal, and you know how much I adore dals and could quite happily eat a different one every day. I also liked the fact that it contained dill, a herb that I do not usually associate with Indian food. It’s also super straightforward, requires no unfamiliar ingredients and is perfect for a light meal on a summers day. The result – it tasted really really good and I will now be including it in my Indian culinary arsenal for sure. Give it a go and if you are on instagram, don’t forget to tag me #chilliandmint so that I can see how you got on. Soak the dahl in water for 20-30 minutes. Then rinse well. Heat the oil in a pan on a medium heat and add the mustard seeds. They will begin to crackle almost immediately. Add the cumin seeds followed by the onions. Mix well and let them cook for 2 minutes before adding the chillies and cooking for a further 2 minutes. 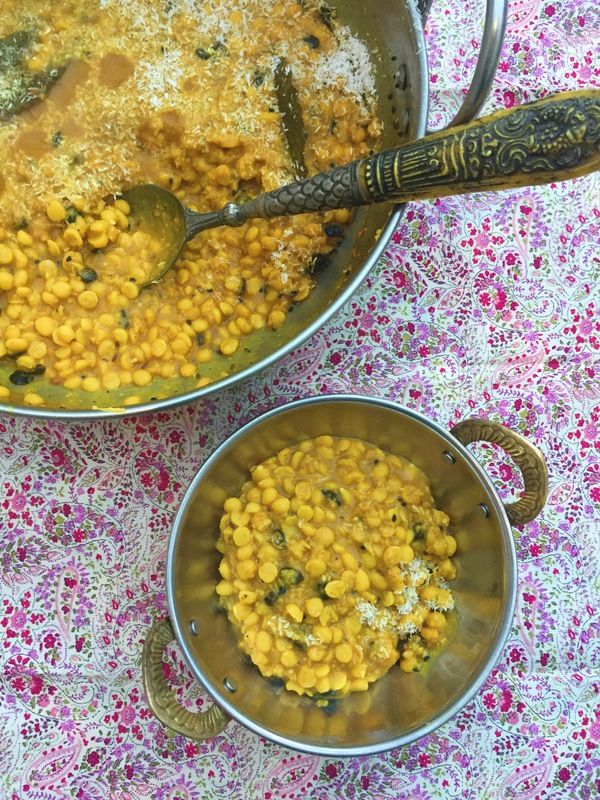 Drain and rinse the presoaked moong dal and add to the pan along with the turmeric powder. Add the water and mix well together. Cover and allow the dal to cook for 10-15 minutes or until it is fully cooked and softened. Be careful not to burn the dal and add more water if necessary. Serve hot with rice or puris/lunchi or simple in a bowl on its own. Divine. If you are making it earlier in the day to eat later you may find you need to add a little water when reheating it. Continuing with the wild garlic theme for another week, (I hope you are not bored yet!) 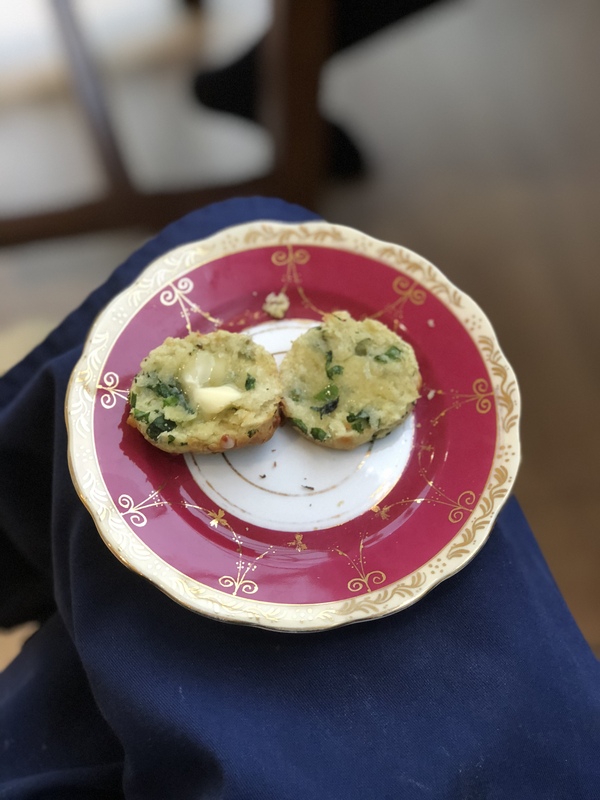 I thought you might like my recipe for wild garlic scones, which are wonderful slathered with a little butter and a cup of tea. Scones are ridiculously easy to make and are great to freeze and then reheat when you want to eat one of two. 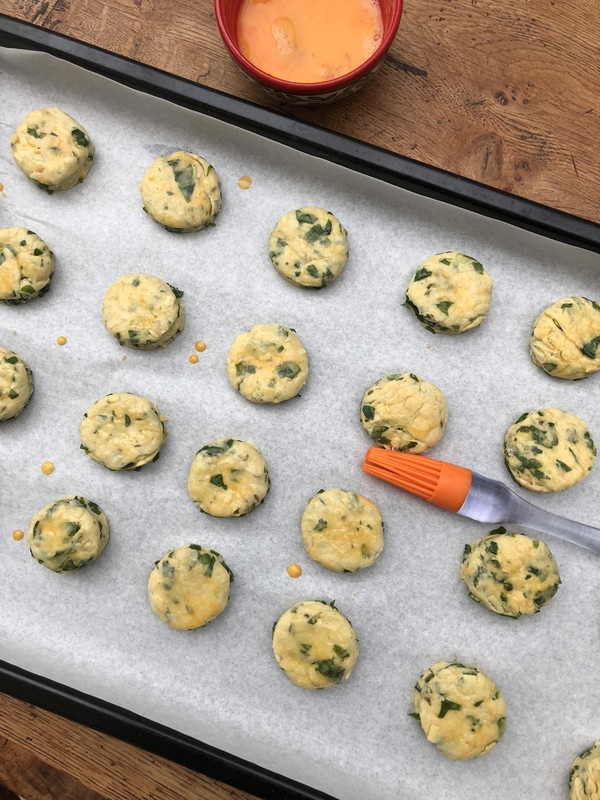 All my family love this delicious snack, and as you can freeze them, are perfect all year round. 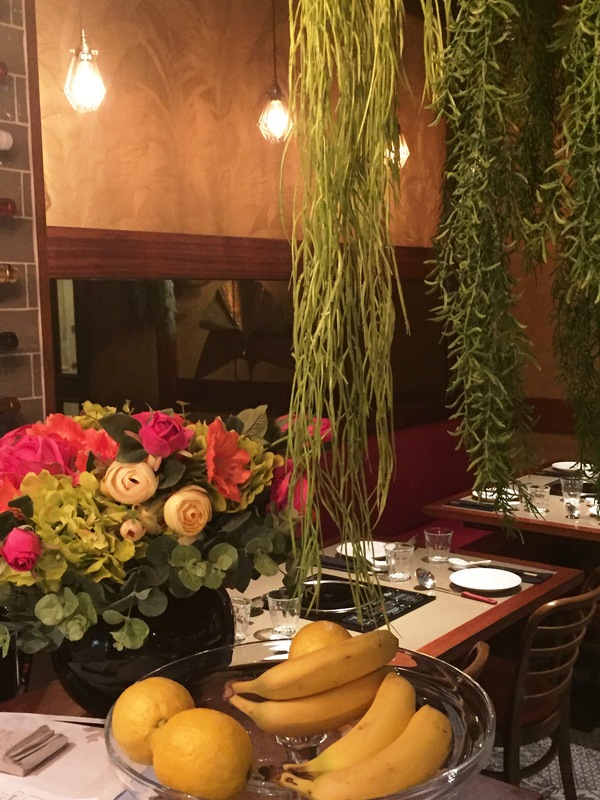 A taste of spring even in the winter! 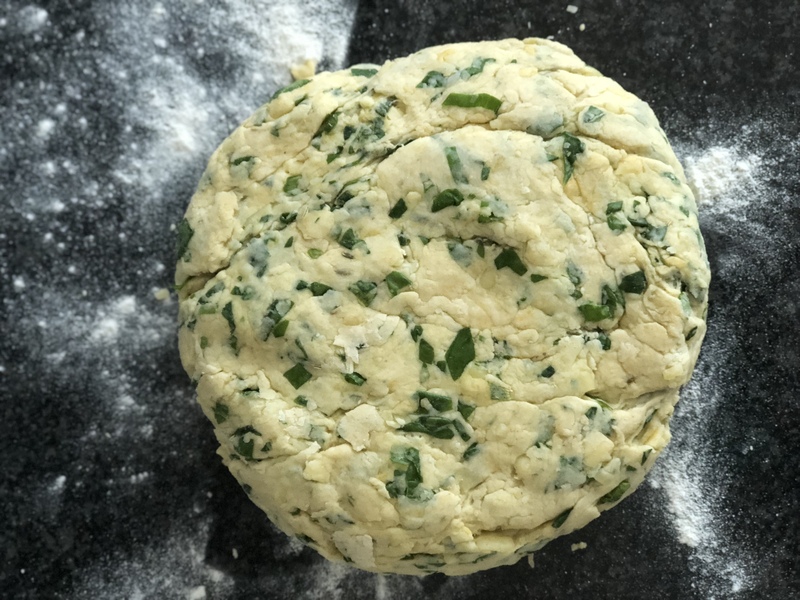 Unlike my wild garlic pesto you actually need no more than a handful of wild garlic but will still get the wonderful flavour resonating through the warm scone. If you have more of a sweet tooth then you might want to see my sweetened scone recipe here. To make and cook these little beauties takes no more than 30 minutes, so are quick to prepare a batch. My girls always love to get involved in the kitchen and making scones is very straightforward so fun activity to do together. Preheat the oven to 220C/200C fan/gas 7 and line a baking tray. In a large bowl sieve the flour and then add all the ingredients*, aside from the milk and the final egg to glaze. Mix together gently using your hands and slowly add the warmed milk to bind. Add a little more flour if it remains a little sticky. Flour your hands and the work surface and move the dough onto the surface. Flatten it with your hands and fold it over a few times. Use a rolling pin to flatten it to a thickness of about 3cm. Use the top of a small glass or a cutter to cut out the scones evenly. Place the scones at intervals on the lined baking tray so they do not touch. Brush the tops with the beaten egg. Once you have used up all the dough, place in the oven for 11 minutes exactly. Remove from oven and then either leave to cool completely and then freeze or eat immediately with some butter. YUM. Note: *If the butter cubes are not super soft then add these first with the flour and baking powder and using your finger tips mix with the flour to create a crumbly mixture. Then add all the ingredients. If freezing, when you want to eat them simply defrost completely then heat in a very low oven for 2/3 minutes to rewarm the scones. 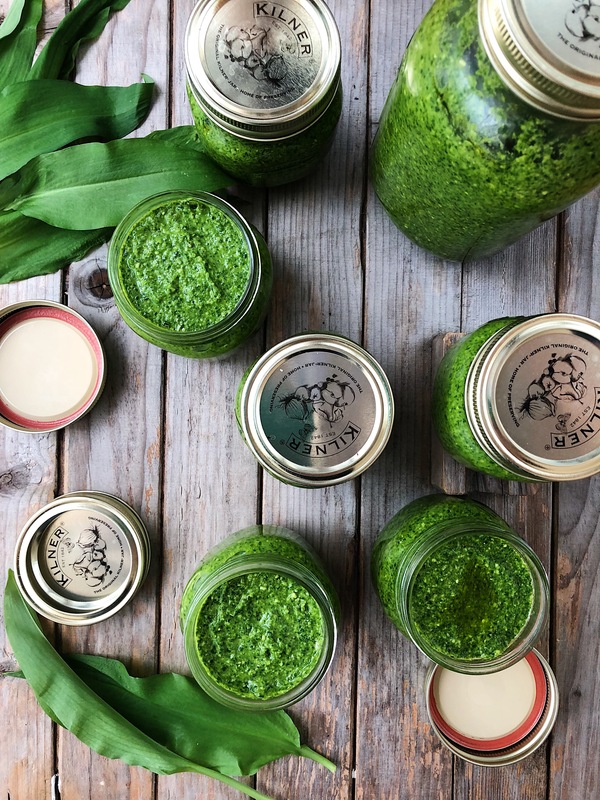 I love this time of year, when the rain stops, the sun comes out and if you head into the woods you are likely to be rewarded by a bountiful supply of wild garlic. When I was down at my parents recently I went to my usual secluded wood to gather up some bags of the stuff. 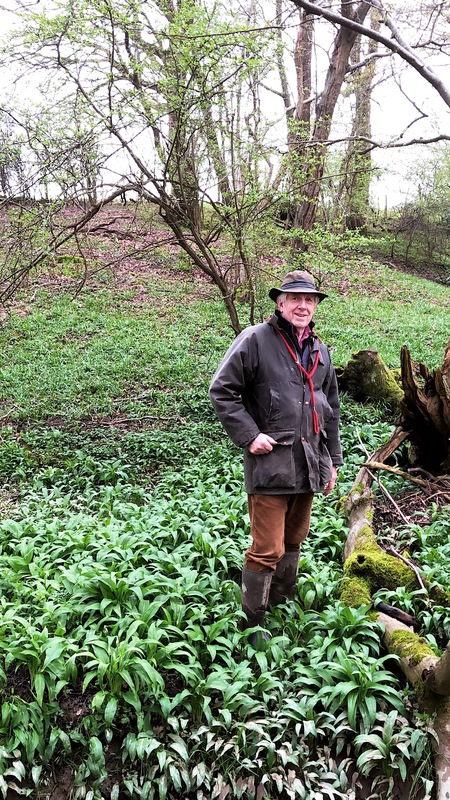 The photo below is of my father looking rather fetching in his country garb standing amongst the wild garlic. 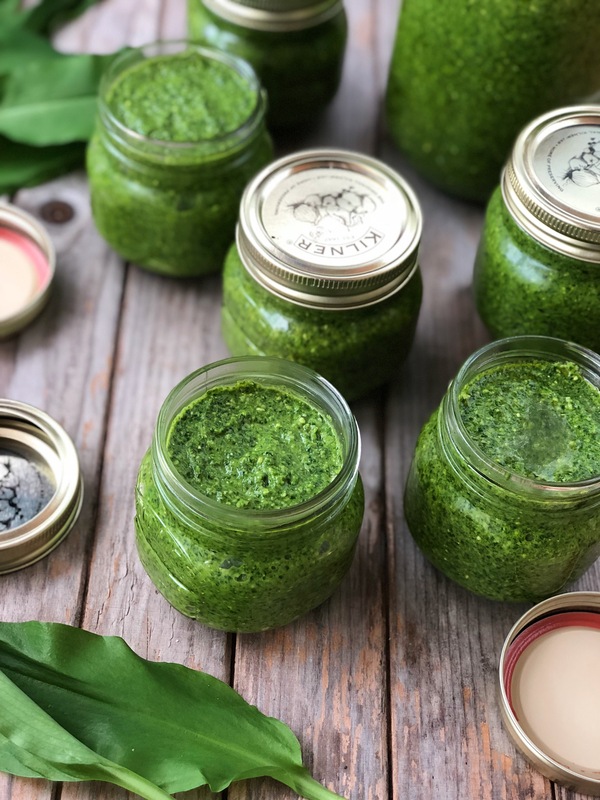 I’m not going to reinvent the wheel here as I did a couple of blog posts a a few years ago about how to actually make wild garlic pesto – you can read the post here. It is SO good to freeze that I make enough to carry us through the whole year. I only finished last year’s batch about a month ago. My family are all slightly addicted by it and one of my daughters even pops it on her toast. 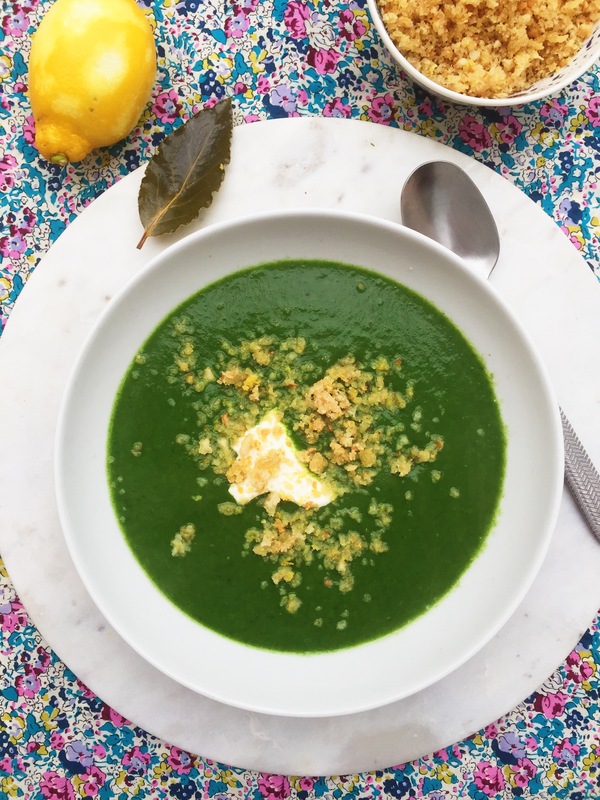 If you want an alternative to pesto and wild garlic linguine with sausage crumb then I have a rather delicious soup – wild garlic, courgette and lemon soup with poached egg with crispy panko breadcrumbs which you can see here. 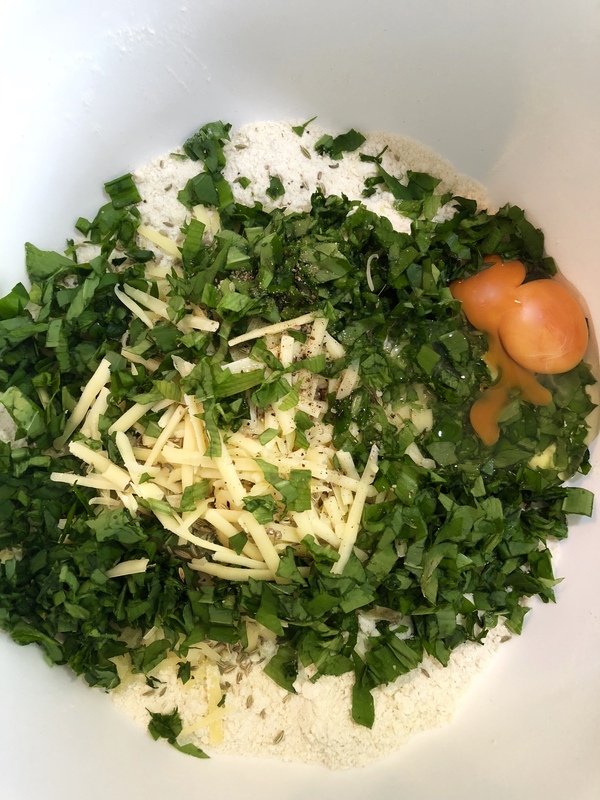 I still have two whole bags to use up so may make some more pesto today and then maybe some wild garlic scones – as they’ll be good to freeze too. Check out instastories to see what I get up to. 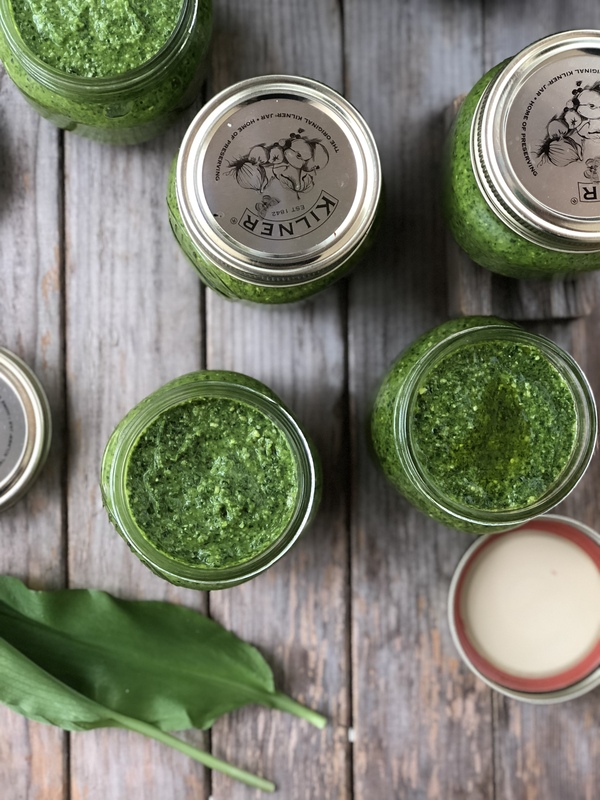 Have you been gathering wild garlic yet this year? What are you going to do it. Would love to hear so leave a comment below. So hands up if you are as addicted to soup as me? I could, and almost do, have a bowl most days. 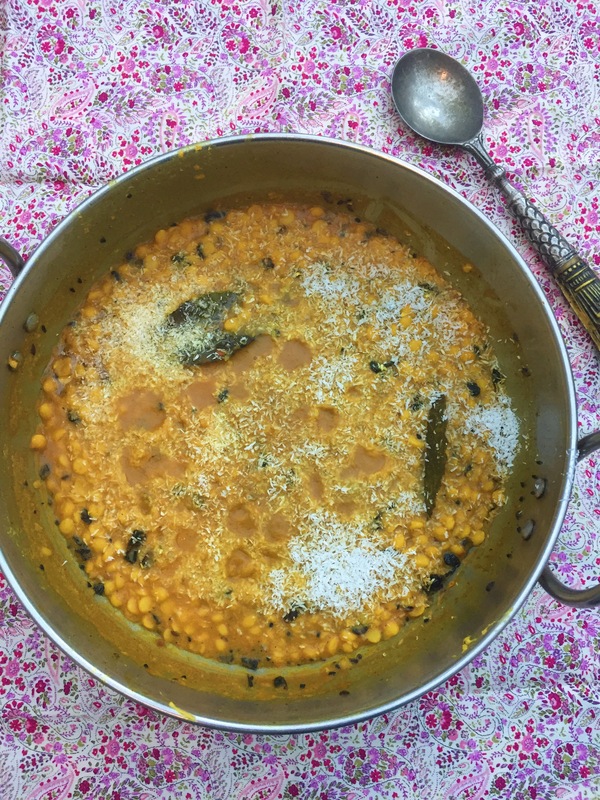 Indian dal is very like soup and I often make one up for lunch – my red split lentil dal is a fav – see here. 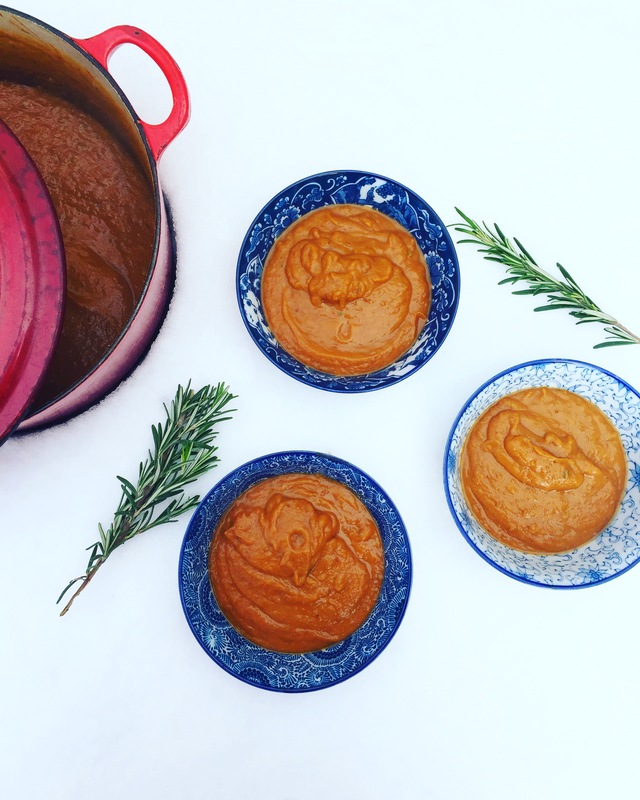 Today however I wanted to show you my roasted sweet potato, garlic and smoked paprika soup. Anything roasted has that wonderful smokey flavour that is so addictively satisfying. This soup will warm the belly and soul with one spoonful (or preferably a whole bowl). The snow provided such a good backdrop the other day that I ran outside to take this shot. When I came to eating the soup later in the day I realised it was far too thick so I added more liquid. How thick or soupy you like your soup is up to you but just add the stock a little at a time until you have reached your desired consistency. The whole family will love it and it involves minimum fuss so win win. On a baking tray place the cubed sweet potatoes and add the olive oil and smoked paprika and mix together so that the sweet potatoes are nicely covered. Add the whole garlic. Place in the oven for 40 minutes or until the sweet potato has softened. Meanwhile in a large casserole pan add the butter and a splash of olive oil and gently fry the red onion and rosemary for 7 minutes so that it has nicely softened. Remove the garlic cloves from the bulb, which will be all soft and gooey at this stage. Add them and the sweet potato to the main casserole pan and add seasoning and the vegetable stock. Using a hand whisk, blend until smooth. Add more boiling water/stock depending on how you like your soup consistency. I actually added a lot more water after this photo (above) was taken as it was too thick initially. Serve piping hot with some crunchy bread on the side. If you want to add a topping you could add a dollop of creme fraiche with a sprinkling of smoked paprika on top, a little extra virgin olive oil or perhaps some roasted pine nuts. 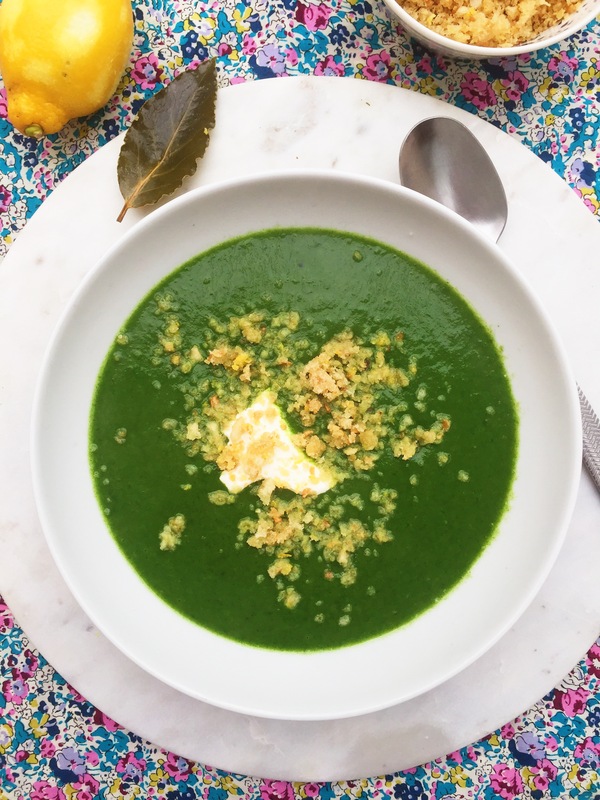 If you try making this soup please post a photo on instagram and use the #soupmeuptoday so that I can see it. January is a month for nesting. The weather tends to be so cold and blustery, with the odd rain or snow shower, that I like to hibernate, wear thick wooly jumpers and keep warm. It’s the perfect time to cook hearty food, bake and make those chutneys, marmalades and pickles (I made a batch of my carrot and daikon pickle) that you’ve been meaning to do. I did venture out earlier this week however to try my first hot pot at a restaurant that opened last year by the same name. 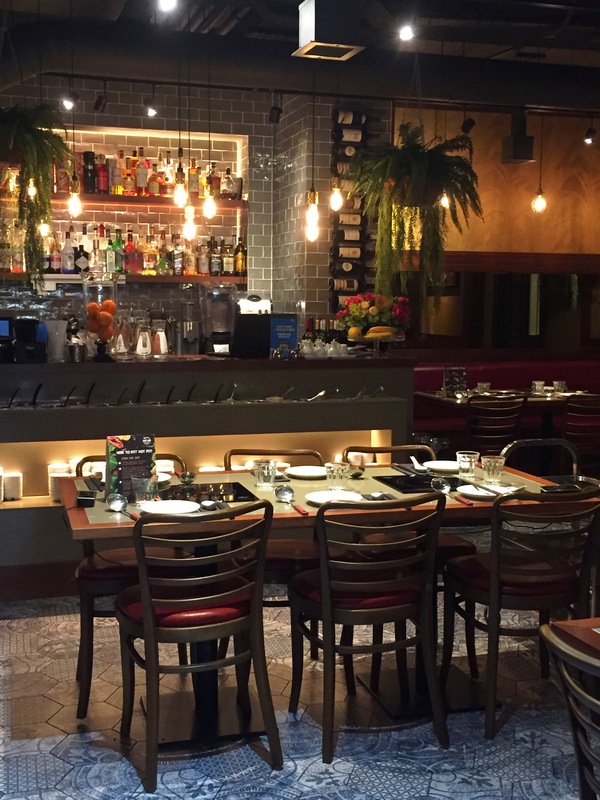 They have over 150 restaurants in Asia but this is their first foray on British shores. 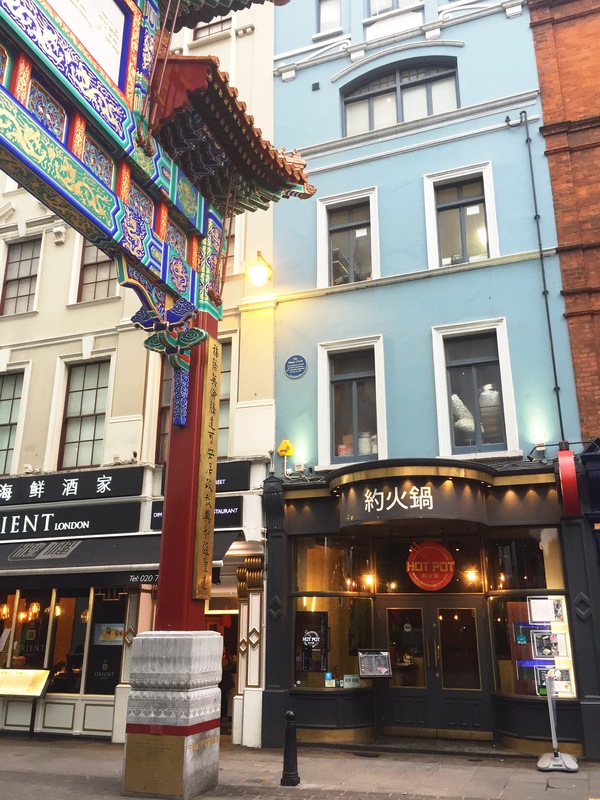 It’s at the gate of China town, near Soho, so is very easy to find. 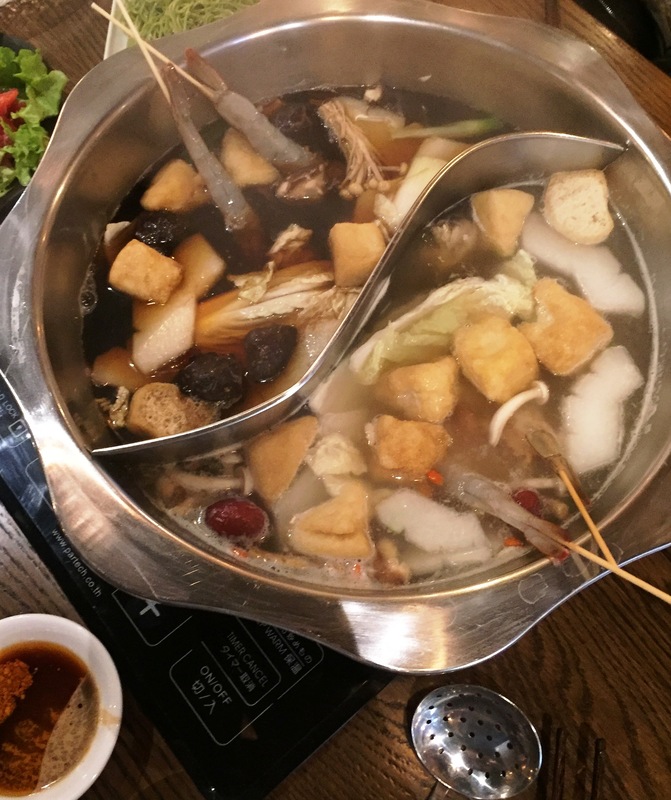 Hot pots are in many respects the Chinese version of fondu, although with fondu of course there is no broth to eat with your meat or cheese. 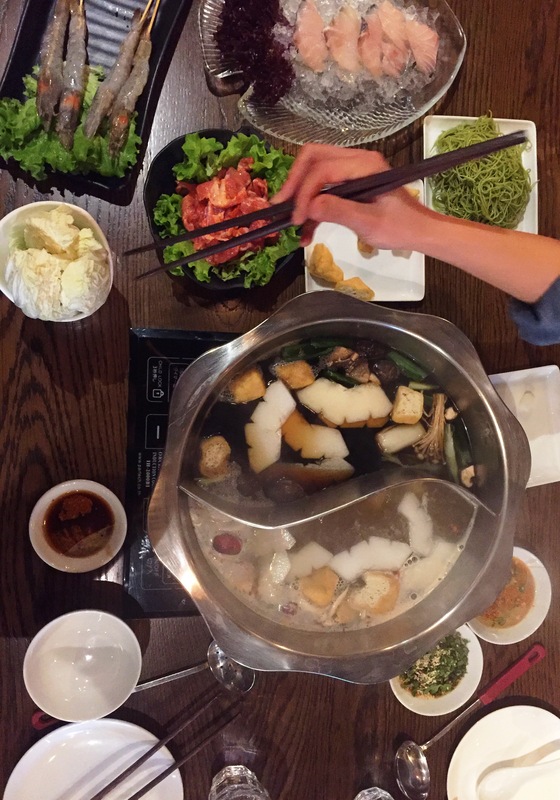 They are a great social way to dine with family and friends as a great big pot of steaming broth is the centrepiece of the whole table. I guess they would also be a great date idea, as it’s a fun way to eat and there would always be something to talk about! 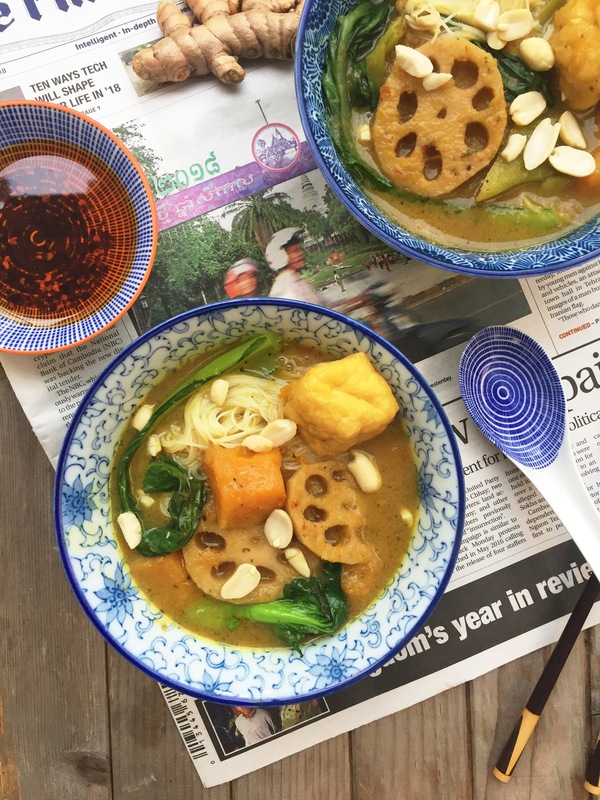 From a health perspective, broths are a perfect way to strengthen your immune system, which often tends to be quite low at this time of year. We were welcomed by friendly staff who were on hand to talk us through the menu. Now the menu can be a little daunting at first glance folks, but do not be phased by this hurdle. First you need to decide on which broth you want to go for. You can chose one or two, the latter coming in one giant bowl with a clever partition in the middle (see photo below). We obviously went for the two option. There are 8 choices and they all sounded delicious. They ranged from the non-spicy to the kickass spicy. We decided to opt for two non-spicy ones – the vegan “longevity mushroom broth” – made up of a host of mushrooms and cordyceps flowers. 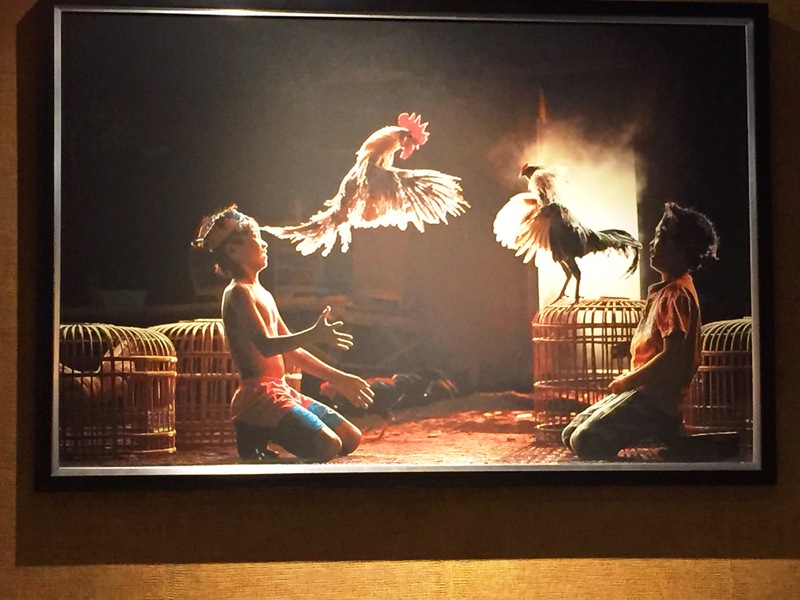 It has a high content of antioxidants, minerals and vitamin D. Our other choice was the “herbal drunken chicken”. With a name like that how could we resist? It’s made from British free-range chicken that has been cooked in a broth for 4.5 hours with a range of herbs and tonics. Next you need to choose what to put into the broth. There are a number of platter options, as well as individual plate options, which come in half plate or full plate sizes. We chose everything in half plate, which was more than enough for two people. We went for the sea bass fillets, the spicy marinaded pork, some king prawns, winter melon, Chinese cabbage, emerald spinach noodles and some fried tofu puffs. Whilst our order was being prepared we went over the self serving sauce station (now say that quickly 4 times ;o) where you can get as creative as you wish. 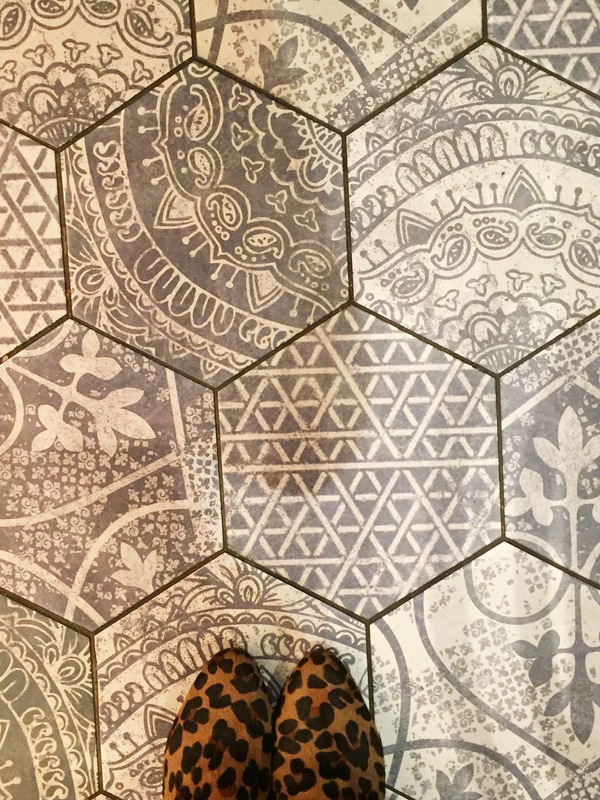 The floors over in this section of the restaurant where rather instragramable don’t you think? There were so many choices that we took a couple of little plates back to the table: soy sauce, chilli sauce, peanut sauce, garlic, spring onions, chillies, sesame seeds to name a few. This was my favourite that I ‘created’ (see photo above). The waiting staff will turn on your hob on the table and then let the stock bubble away gently for a few minutes. You then start by adding your vegetables and some of your noodles and leaving them for a very short while before fishing them out and placing them in a small bowl to then dunk in your sauce and eat. Delicious. If you order the winter melon, don’t leave them in there for too long or they will begin to disintegrate, a mistake we made. You can take a little broth as you go to slurp away, it really does warm you to your inner core. The longer the broth cooked, the more the flavours intensified. We then added the sea bass and prawns for a couple of minutes max before dunking in the pork (which in fact didn’t taste spicy) for around 4-5 minutes cooking. Both broths tasted really good and distinct from one another. I would happily choose both again. If I had to choose one over the other I think the herbal drunken chicken had the edge, but it really was a hard call. We ordered the right amount and couldn’t quite finish all of the broth. My dining companion lived in Hong Kong for many years and is in fact half Chinese and she was pleasantly surprised by how delicious both broths were. A real accolade if ever there was one. The restaurant is over two floors (and sits up to 150 apparently), although only the downstairs tends to be open in the day time, largely owing the the footfall. The clientele ranged from families, couples, friends and Chinese business man, so I think it would appeal to anyone of any age. There is also a number of Thai food options as well as the hotpots, if someone in your party would rather eat Thai. I think my children would love it and perhaps it would make an ideal lunch spot after a morning at the British Museum. Thank you to Hot Pot Restaurant for my complimentary lunch. All opinions are my own and I would happily return again. Back at home I have been working on my Chinese braised oxtails, which I cooked over Christmas for the whole family and wanted to improve upon. Now don’t get put off by the word “oxtails” folks. 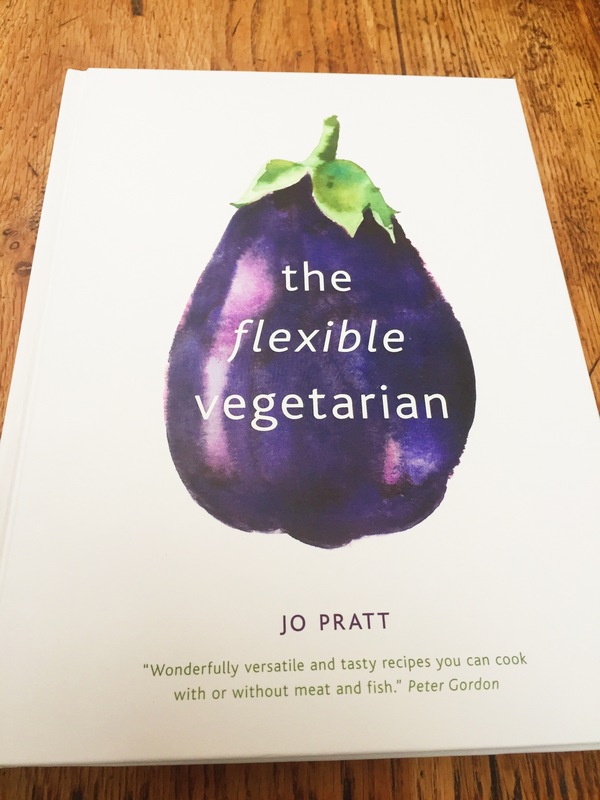 Ok, perhaps if you are vegan or vegetarian you can stop reading from now on, but for everyone else, they taste really good but there are a few tricks you need to know about when cooking them. The secret is to cook/braise them for a long time in a low oven – 5h30 mins at 150 degrees centigrade. You need to have it so that the meat is literally falling off the bone. 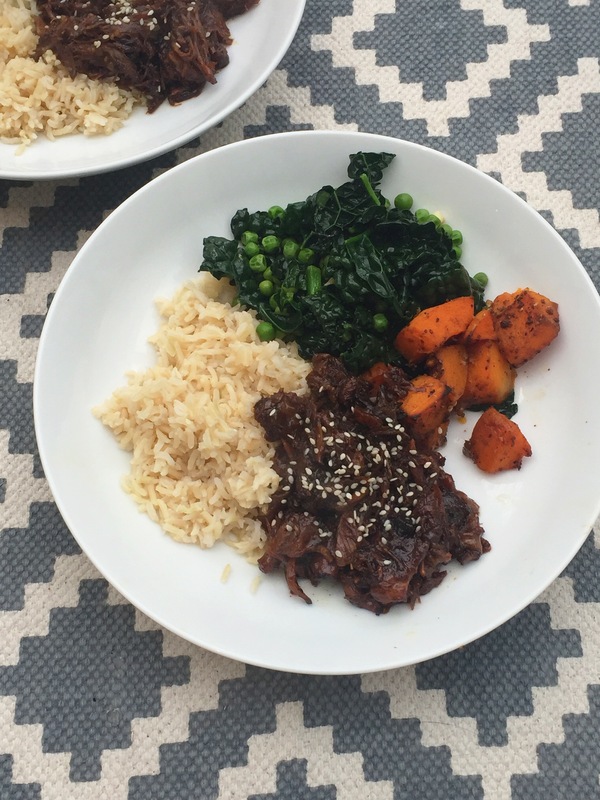 I served it with some brown rice, cavolo nero/pea/garlic medley and some roasted butternut squash, which I had coated with some freshly ground Sichuan peppercorns. It’s a complete crowd pleaser with all the family really enjoying it. I am sure it would work equally well in a slow cooker, but I don’t have one so cooked it in the oven in my trusted Le Creuset pot. It literally cooks itself so you can get on with other things whilst it slowly cooks away. Easy cooking, albeit one that takes time. Preheat the oven to 150 degrees centigrade. On your hob, add oil to a large ovenproof pot and then add some of the oxtails and brown all sides before removing and placing on a plate whilst you do the next batch. In the same pan, keeping the heat low, add the ginger, garlic, cloves, bay leaves and star anise and move around the pan for about a minute before adding the soy sauce, Shaohsing, sugar and water. I do not add any salt as I feel that enough comes from the soy sauces. Add the oxtails to the pan and coat in the sauce. Add a little more water if necessary and transfer to the oven. Cook for 5hours 30 minutes, by which time the meat will be falling off the bone. Over the course of the five hours move the oxtails around a few times. If it is looking dry simply add a little more water. Once it has cooked. Allow to cool before removing the oxtails – keep all the juice – and then using your hands allow the meat to fall off the bones. When all the meat has been removed return it to the pan and then rewarm before cooking and serve with brown rice, roasted butternut squash with some ground Sichuan peppercorns and some greens. Warming food for this cold weather. Happy New Year everyone. As you’ve probably gathered from my lack of posts I have been off the grid for a few weeks, which has been bliss – although I was still posting on instagram so do check out my feed if you are interested. 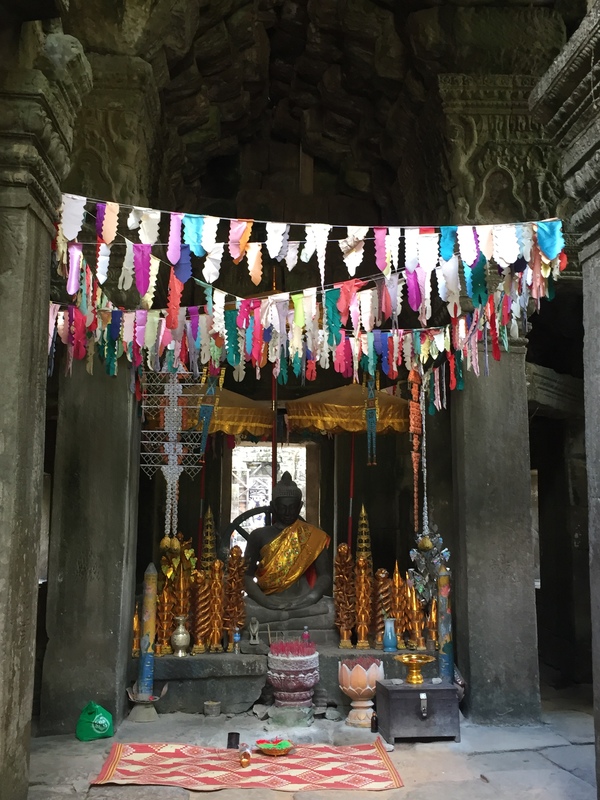 My family decided to cheat winter for a few weeks and headed off to Cambodia to see the ancient ruins, visit the capital and then head south to laidback Kep – which was once where the Cambodian royals and wealthy would head to relax and enjoy themselves; before the Khmer Rouge destroyed much of the town. Back in London and it has all been a bit of a shock with the cold, blistery weather and getting dark so early in the day. I reluctantly packed away my flip flops and got out my winter boots. January is a funny old month. We all start with such good intentions. Most friends seem to be attempting a “dry January” and “veganuary” has now been thrown into the mix. Read more about it here if the term is new to you. I can get my head around being more vegetarian, or at least a diet which has a heavy vegetable focus, but vegan……now that involves a lot of thought and planning. Whilst I was pondering veganuary, I read about a rather interesting “diet” or let’s just say “way of life” which, in my view, seemed more attainable and realistic. There is a lot of chat about it in the media at the moment. It is called the VB6 diet. Now don’t get me wrong I do not follow diets and have never been on one, but this VB6 caught my attention. The diet was given life by New York Times’ lead food writer Mark Bittman and literally means “Vegan Before 6pm”. I am increasingly convinced we all need to eat more vegetables and fruit and less meat and fish. Like Mark however, I am not going to become vegan anytime soon, but a swing of the pendulum towards more of a plant based diet is definitely attractive on many levels. I would prefer to eat meat and fish less often but the quality of what I eat to be high and ultimately know exactly where the produce has come from. By eating it less frequently does allow us to buy better quality meat and fish when we do actually buy it. The VB6 diet came about when Mark was told by his doctor that he was overweight, his cholesterol and blood sugar were too high and that intervention by surgery was one possible option. He discussed these findings with another doctor who suggested that becoming vegan was another way that could help him. 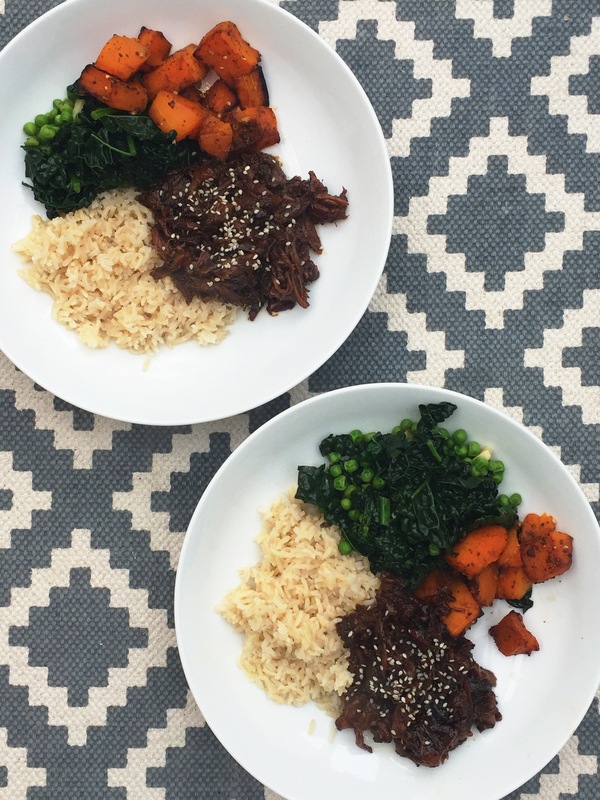 Knowing that becoming a true vegan was out of the question he decided to adapt and become vegan throughout the day but in the evening from 6pm he could eat what he wanted. It made a lot of sense as he could be sociable in the evening with friends and eat how he always has done. He is also really realistic that sometimes he may deviates from the plan and he readily admits he has milk in his coffee in the morning, but for the most part he continues to be vegan in the day time. Absolutely. He has lost a good amount of weight – 36 pounds then gained a little to plateau to around losing 26 pounds. The diet seems sensible and also not really very restrictive in the grand scheme of things. He talks to the Huffington Post here about the diet. Have a read, it’s really interesting. I definitely plan to pick up a copy of his book and see what he has to say in more detail. You can order it here if you are interested. 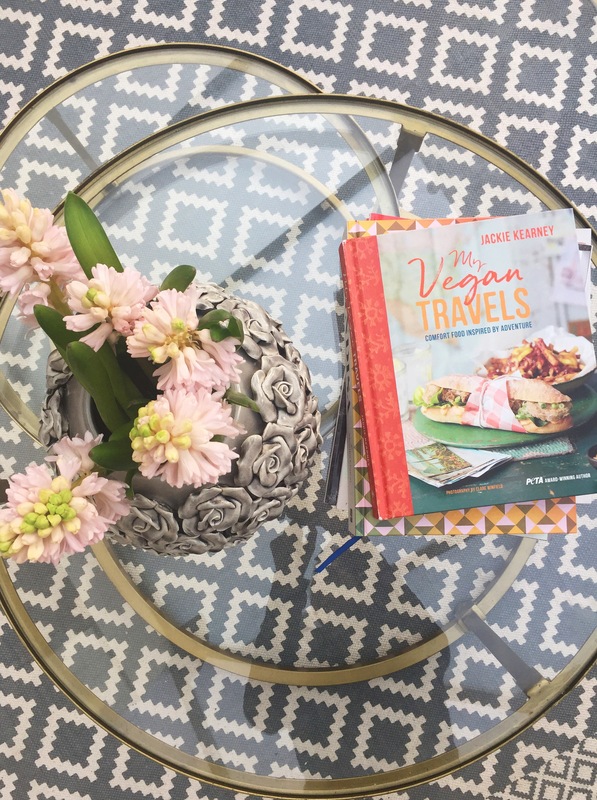 Which brings me to a rather lovely book that was recently sent to me, called “My Vegan Travels – Comfort Food Inspired by Adventure” by Jackie Kearney. I don’t own a vegan cookery book so was not too sure on what to expect. What I discovered is a hugely informative book with recipes that actually sound and look (if the five photos below are anything to go by) delicious. At first glance there did seem to be quite a number of ingredients in each recipe but that has never phased me. If you are someone who likes 5 ingredients, then this book is probably not for you. For anyone who has a keen interest in cooking and a willingness to try something new then you will love it. The chapters are slit into “No Place Like Home”, “European Summers”, “Asian Comfort” and “Americana”. I obviously gravitated to the “Asian Comfort”. I think that to become full-time vegan does involve a commitment to actually stock your pantry/cupboard/fridge very differently. Leafing though the pages I found a couple of Cambodian recipes. 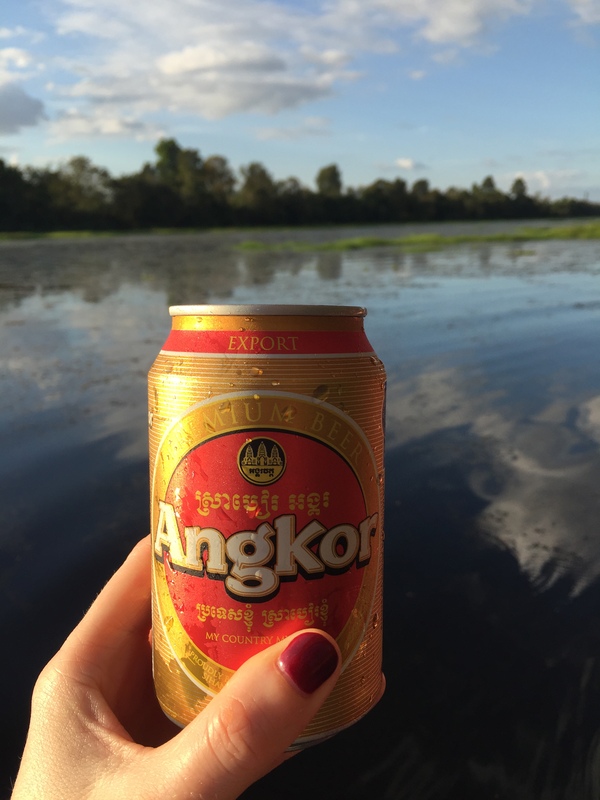 Again I never come across Cambodian recipes so both of them really appealed to me. I opted on one though which I think is a real January mood-pick-me-up. 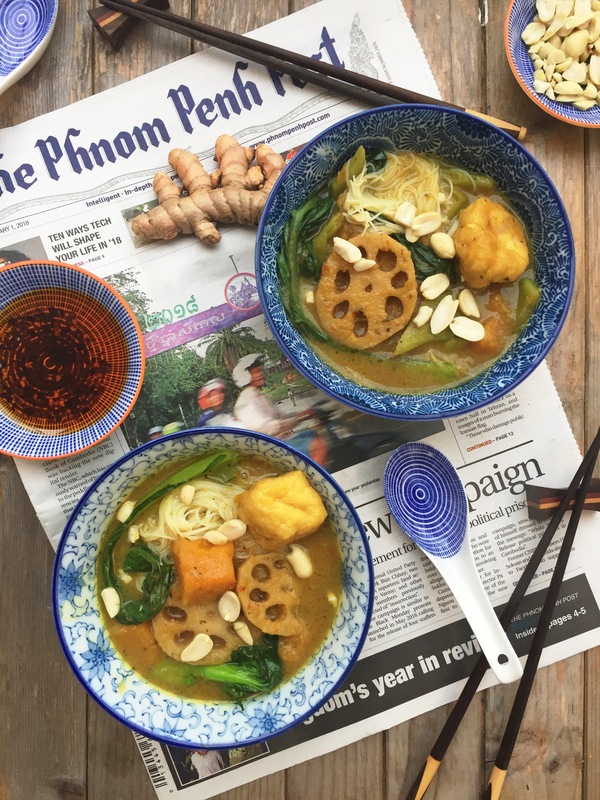 It’s called “Num Banh Chok” – a Cambodian yellow curry with rice noodles and I cannot tell you how AWESOME this recipe is. I gave it to my father-in-law who has been recovering from a bout of flue and he couldn’t stop saying how delicious it was. It is now firmly part of my culinary arsenal and I will be cooking it again and again hence forth. I LOVED it. 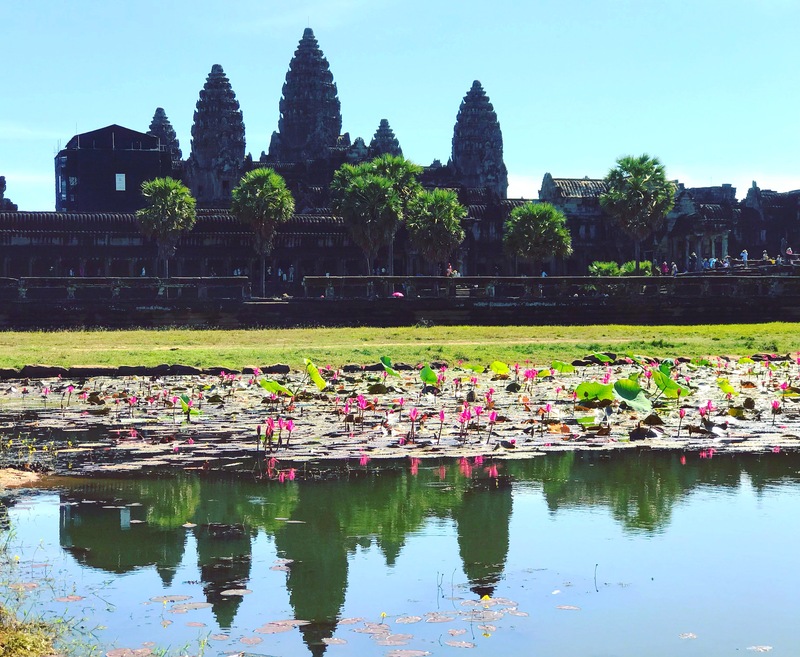 I thought that the recipe tied in so well with this post and me having just come back from beautiful Cambodia, as well as the VB6 article, which I had been mulling over. Now a couple of things to note. I made one change – I added fried tofu instead of banana flower. I do love banana flower but it is tricky to find, certainly if you live outside London or not near any Vietnamese grocers. I thought it wasn’t very realistic for others to find if I found it tricky. Secondly, the vegetable with holes in it is called “lotus root”. I admit lotus root is also not that easy to find. My usual Asian grocers did not have it so they sent me off to a Chinese grocers that did. So folks aim for Chinese/Thai/Vietnamese/Japanese grocers near you. It is not stocked in your local supermarket. You can buy it online at places like Amazon and Fresh Oriental – here. You can also buy it frozen, but fresh is best if you can locate it. Galangal is not as hard to find, but again you may need to head to your South East Asian grocer. Once you have the ingredients the recipe is a piece of cake to make. Do try it and let me know. If this recipe is anything to go by I can’t wait to try making the other Cambodian recipe “Khmer croquettes” (photo below) very soon. Don’t they look temptingly moreish. First place your rice noodles in a bowl and cover with hot water and leave whilst you get on with making the dish. New place all the spice paste ingredients in a blender/food processor and blitz until smooth. Easy hey. In a large non stick pan/wok, heat the oil and fry the curry paste. Add the stock/water, vegan fish sauce/light soy sauce and agave nectar/brown sugar and bring to the boil then add the lotus root and squash and simmer for around 8 minutes. Then add the green/runner beans and simmer for another couple of minutes before adding the coconut milk and more stock if needed; it should be a soupy consistency. Salt to taste and bring back to the boil. Make sure the butternut squash is soft. 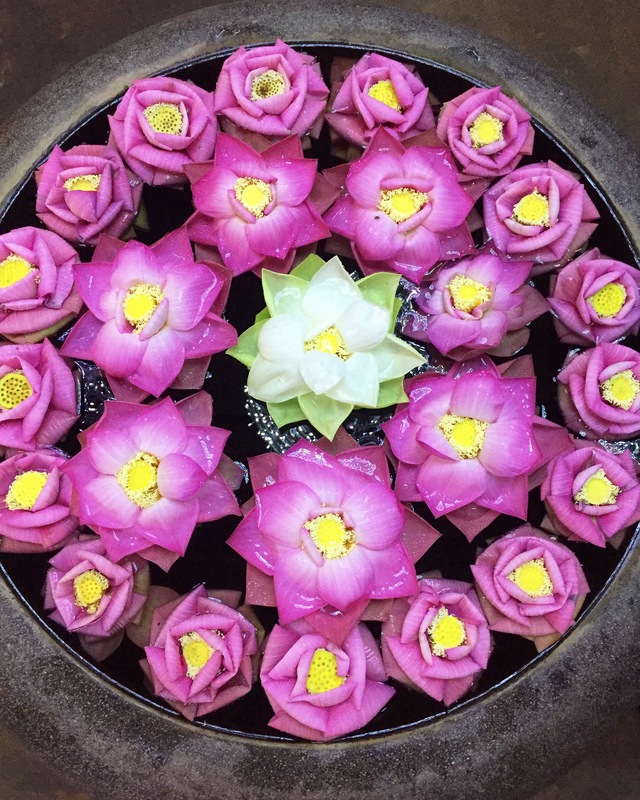 The lotus root will not be as soft! Stir in the choi sum and then remove from the heat, allowing it to wilt completely. Drain the rice noodles from the water. They should be soft and ready to eat. Place in a bowl and ladle the curry broth on top. Sprinkle with peanuts and chilli oil if necessary. 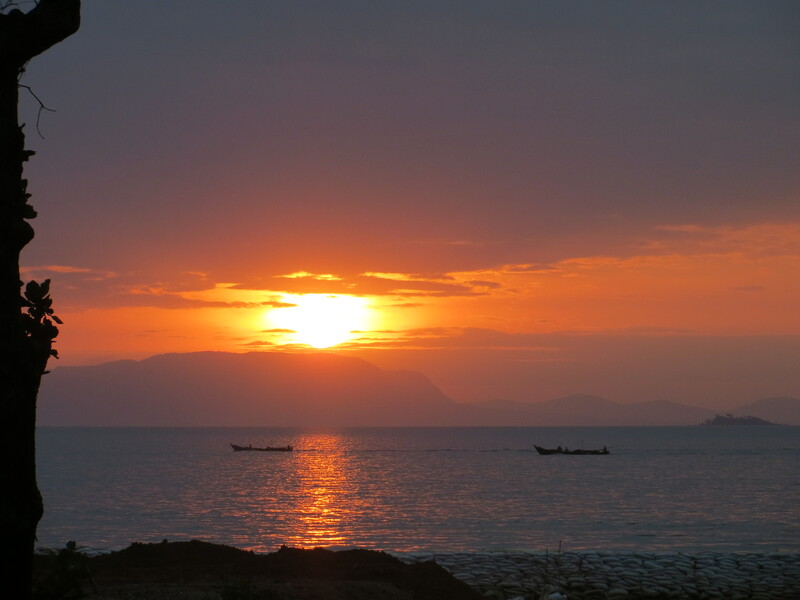 More instalments from Cambodia next week. 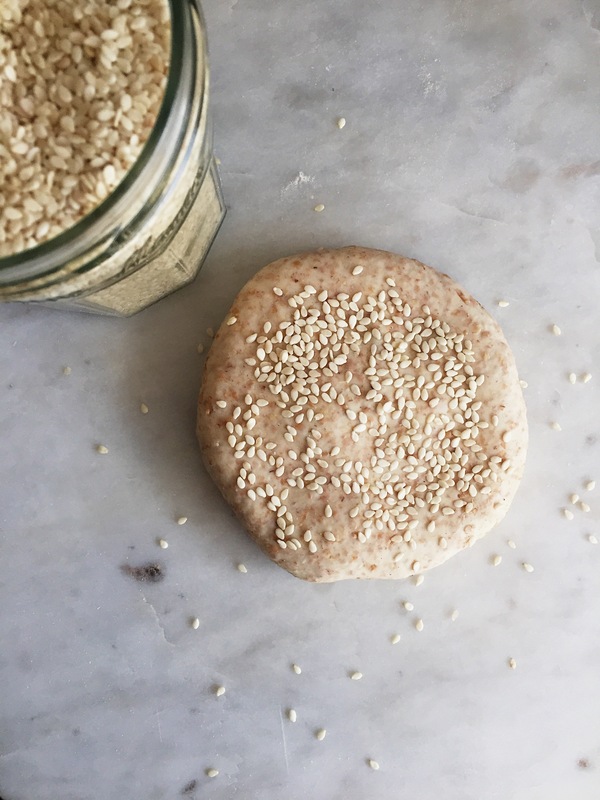 The are sooooo many varieties of Indian flat breads to choose from that making the decision on which one to prepare, and eat, can be a tricky business. Paratha are easier to make than you would think. 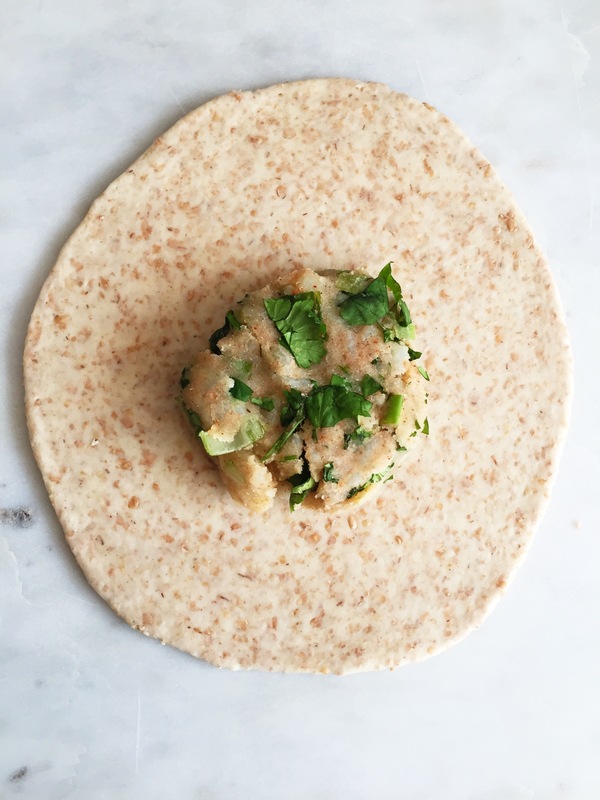 A dough like pancake all warm and pillowy, filled with whatever savoury filling you choose. If you are familiar with the ubiquitous chapati then paratha are considered a close relative. 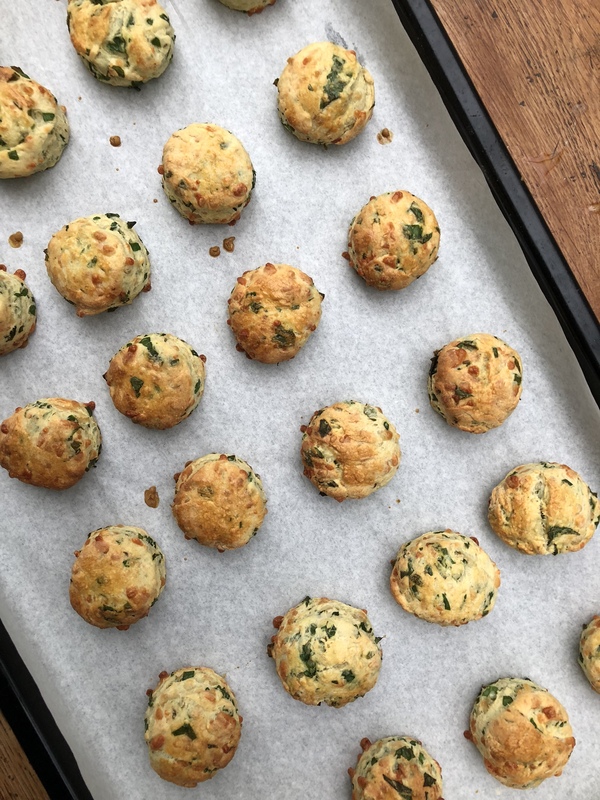 My recipe shows you how to make them with a spiced potato and spring onion filling but you can be as adventurous as you fancy. 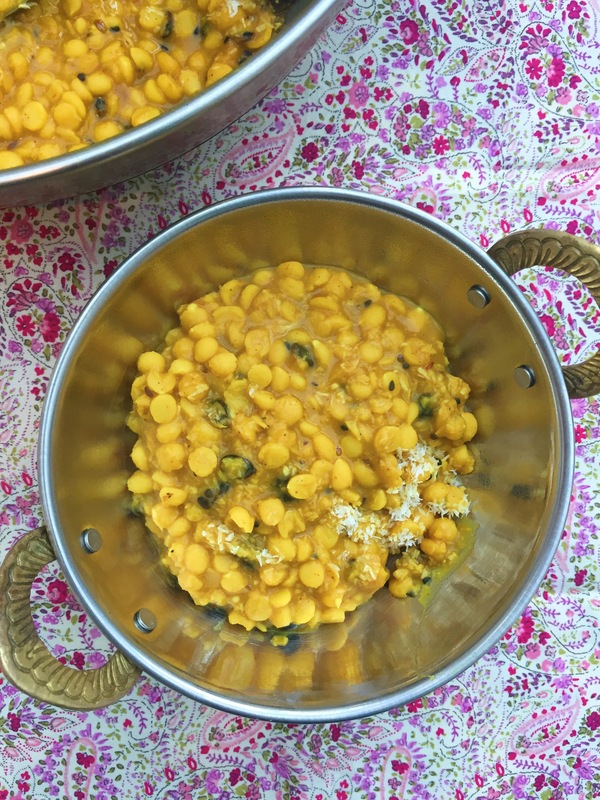 They are ever so delicious and work really well with just a simple dal. Often the most humblest of foods can be fit for a king or queen. The preparation is pretty minimal and if you are cooking for a few you can prepare the filling earlier on in the day. So follow these simple steps to create your very own paratha at home. I suggest making the filling first and then let it cool whilst you make the dough. Roll out the dough so that it is thin, but not so thin that it splits. Place a round ball of the filling in your hand and then gently place it in the centre of the dough circle. Flatten slightly. Pull up the edges so that the filling is completely covered. Turn it over and place some sesame seeds or nigella seeds on top. Flatten it with your hand. Then gently roll out the dough so that it flattens further. Be careful not to roll too thinly or the contents will escape. Heat a tawa, or large frying pan, and when it is hot brush a little melted ghee (or butter/oil) on one side of the paratha and place that side into the pan. While this side is toasting, place melted ghee on the other side and then after a minute turn over. Leave for a further 30-60 seconds so that it is nicely bronzing but not burning and then remove from the pan and eat whilst still hot. If you are preparing a few then place in a warm oven while you prepare the next. In a large bowl add all of the dry ingredients and mix well, then add the yoghurt and oil. Slowly add in the water so that a dough forms. 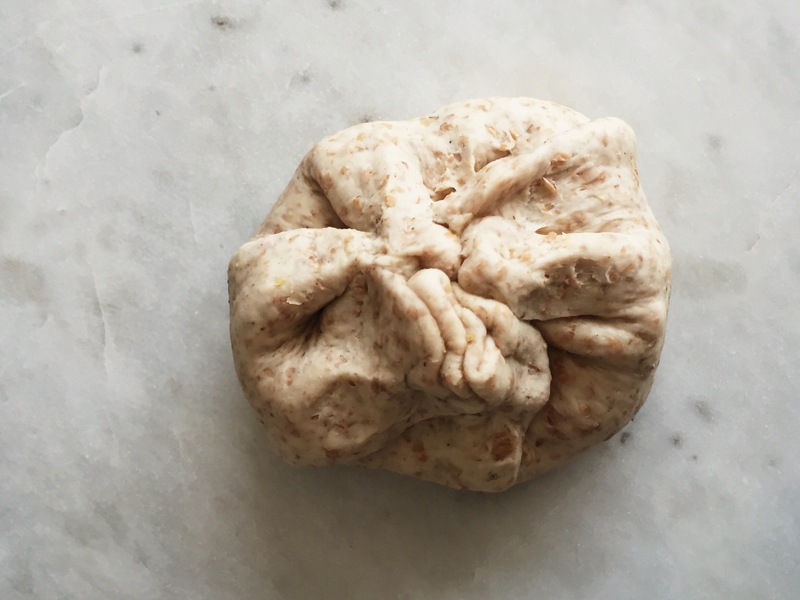 Use your hands to form a ball, knead for around 7 minutes so that the dough is pliable and soft. Cover with cling film whilst you make the filling. To make the filling, boil the potatoes and when soft, drain and mash them. Add the rest of the ingredients and mix thoroughly. Returning to the dough, break them into 6 even balls. Using your hands initially flatten a ball, sprinkle with a little flour and using a rolling pin roll into 6-7inch diameter circles. Using your hands scoop up some of the mashed spiced potato and create a small ball and flatten this is the middle of the dough. Move the sides of the dough up to the centre so that the spiced potato is securely covered up. 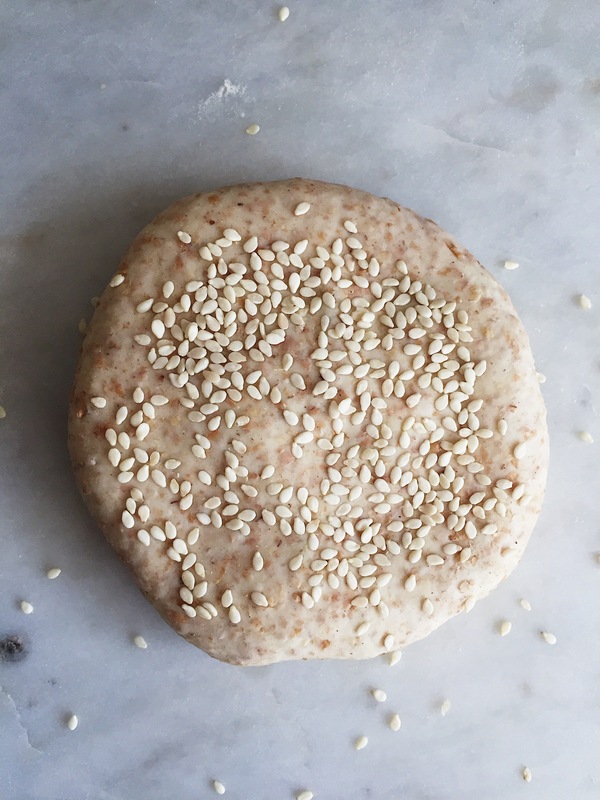 Turn over the round parcel and spoon some sesame seeds on the top and then gently roll out the dough with the spiced potato filling into a round circle once again. Heat up a frying pan or tawa. When it is getting hot, melt the ghee and then brush some onto the surface of the paratha and place ghee side down onto the pan. Leave for up to a minute and brush the paratha again with ghee before turning over for a further minute. When the paratha is sufficiently bronzed place onto a warm plate and cover whilst you do the rest or pop in a warm oven. 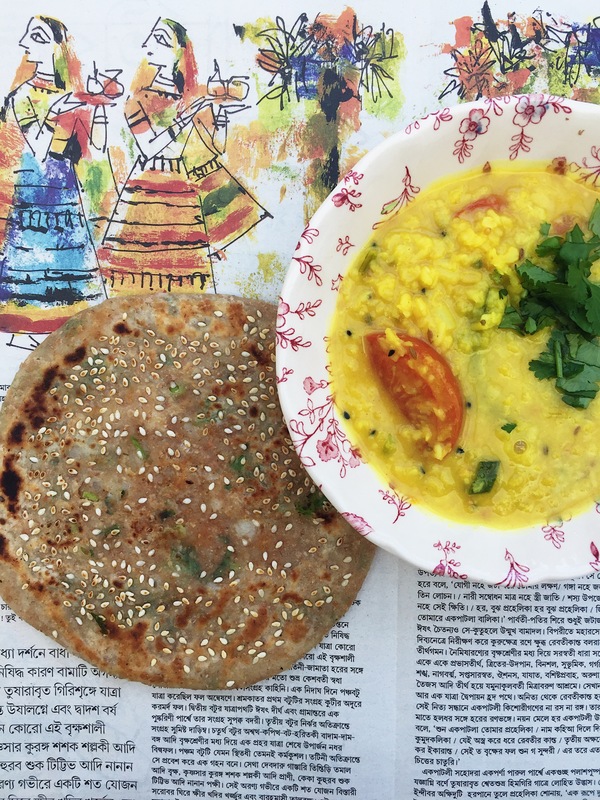 Paratha are wonderful to have with dal or a curry or if you are really organised, for breakfast, now isn’t that worth getting up for. 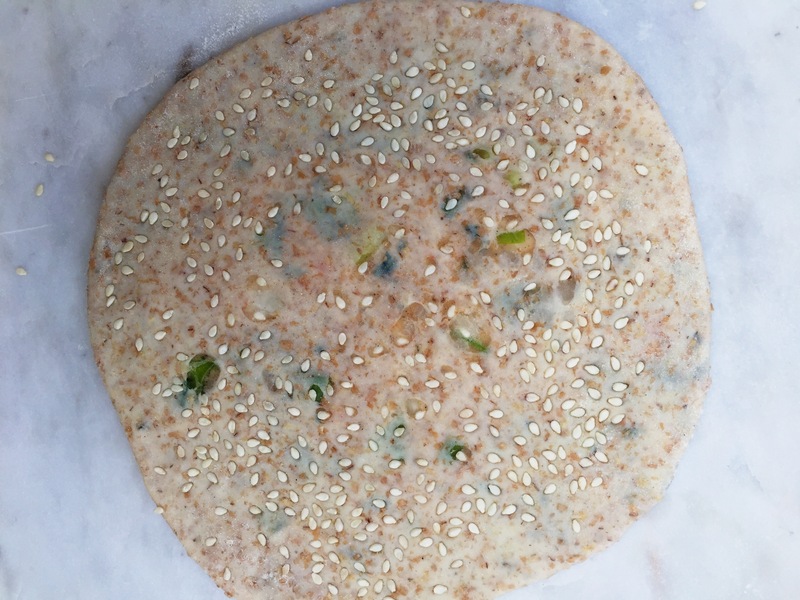 So how have you been getting on with making ‘hoppers/appam’ at home? Has anyone been brave enough to give them a whirl? I would love to hear how you got on. You do need a special pan mind you, but they are easy to source on the web – I think this is the one that I bought. Perfect christmas gift for anyone with a keen interest in cooking? If you do give them a go PLEASE can you post it up on Instagram and tag me @chilliandmint and #chilliandminthoppers. Thank you. As promised todays post is all about the sambar. Sambar is very similar to a dal, the main difference is that it is more of a lentil based vegetable stew, whereas dals tend to be more of a lentil soup with maybe one of two vegetables incorporated within it. 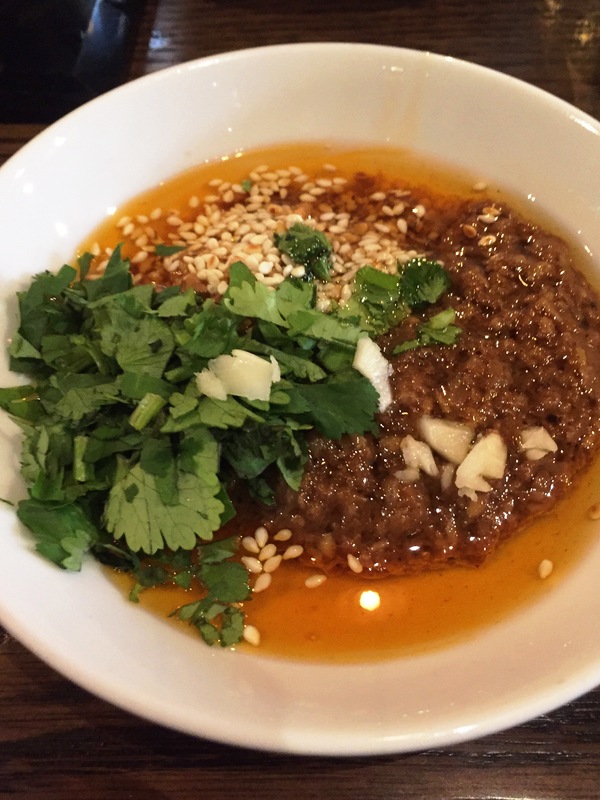 Sambar often has a tamarind broth as its base note, which can also be found in dal – for example toor dal – but not exclusively. 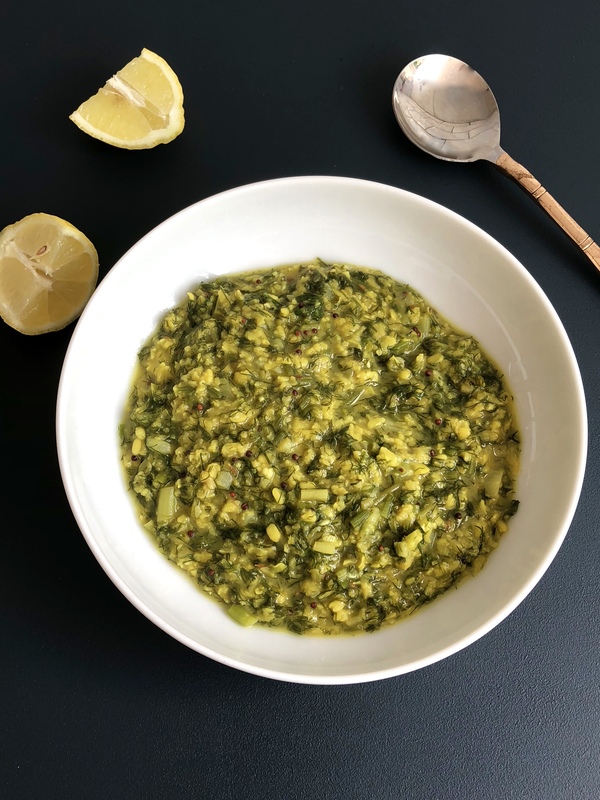 It is eaten in both Southern Indian and Sri Lanka and once you have made the spice blend you can keep making it in a relatively short space of time. I hosted a Sri Lankan lunch recently where I basically fed my pals a typical Sri Lankan breakfast…but I gave it to them for lunch (they weren’t to know). 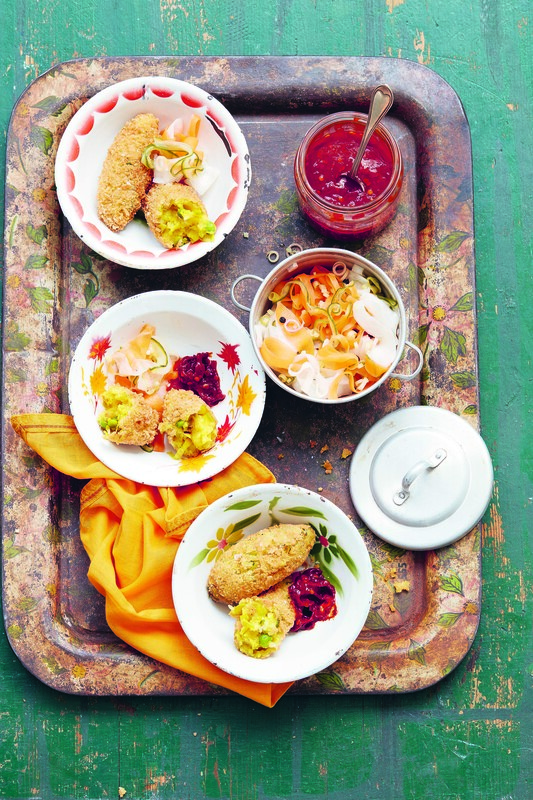 Egg hoppers, sambar, pol sambol (similar to a dry coconut chutney) and an onion relish. I think it was a hit. When you make sambar you can use any vegetable that needs using up. Unless you live near an Asian grocers you are unlikely to come across ‘drumstick’ which is fairly typical to see in a sambar. 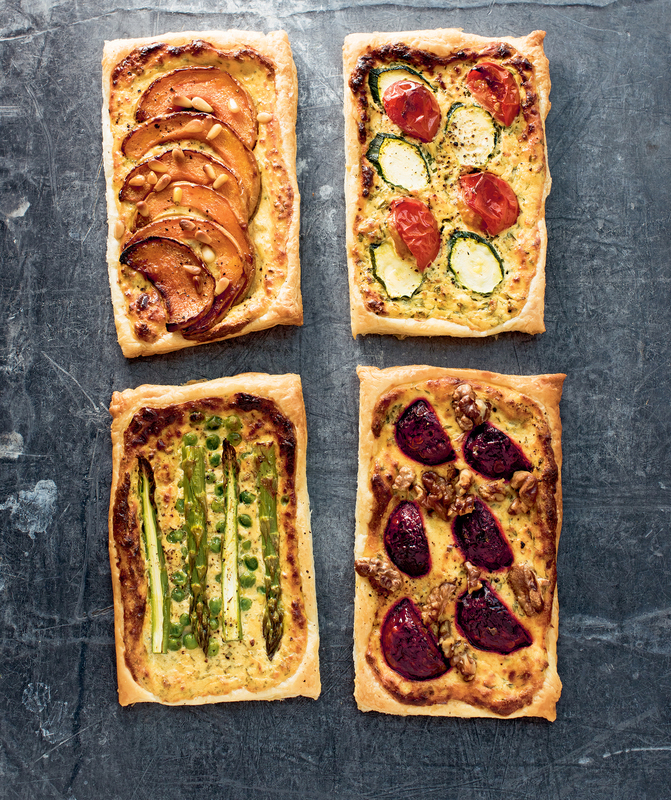 Don’t worry, just pop in marrow, courgette, pumpkin, squash, green beans – anything that needs using up will work a treat. Heat a dry frying pan over a low heat and dry roast both dals until they turn bronze slightly – a couple of minutes max. Place in a bowl to one side. Using the same pan add the coriander, cumin, fenugreek, black peppercorns and dried chillies and move them around the pan for 30 seconds. A wonderful aroma will be released. Add the fresh curry leaves, asafoetida, turmeric and desiccated coconut and mix it all around the pan for another 20 seconds and then place in the bowl with the dals. Let it all cool and then whizz it up in a spice grinder. I have this one and it works a treat. Store in an airtight container and use as and when you need it. You can make it with a range of different lentils but I find that red lentils work really well as they take the least amount of time to cook. In a deep pan add the lentils, chillies and turmeric powder and cover with water. Simmer gently, removing any scum that may form, for 10-15 minutes, by which time the lentils will have completely softened. Do not drain, instead leave to one side whilst you work through the following steps. Take a generous walnut size piece of tamarind and place in a bowl and add boiling water to cover it. Leave to rest for 20-30 minutes then strain. Using the back of a spoon push through any of the tamarind pulp. Discard the stones. Place the liquid in a measuring jug and leave to one side. In a large frying pan/skillet heat the oil and then add the mustard seeds and allow them to gently pop before adding the cumin seeds, curry leaves and dried chillies. Move around the pan for 10 seconds and then add the onion and garlic. Leave to soften, stirring occasionally for around 7 minutes. Add all the vegetable pieces (they should all be around the same size, other than the drumstick) and mix in with the spices and onions. Add the sambar powder, salt and tamarind water and bring to the boil. Lower the heat and place a lid on the pan and allow the vegetables to soften completely – this will take around 12 minutes. Check that they have softened completely before adding the lentils. Add the lentils and stir in well to the spices and vegetables. Add more salt if necessary and allow to simmer further for another 5 minutes. It makes a wonderful ‘soup/stew’ as the days get shorter and the weather colder. 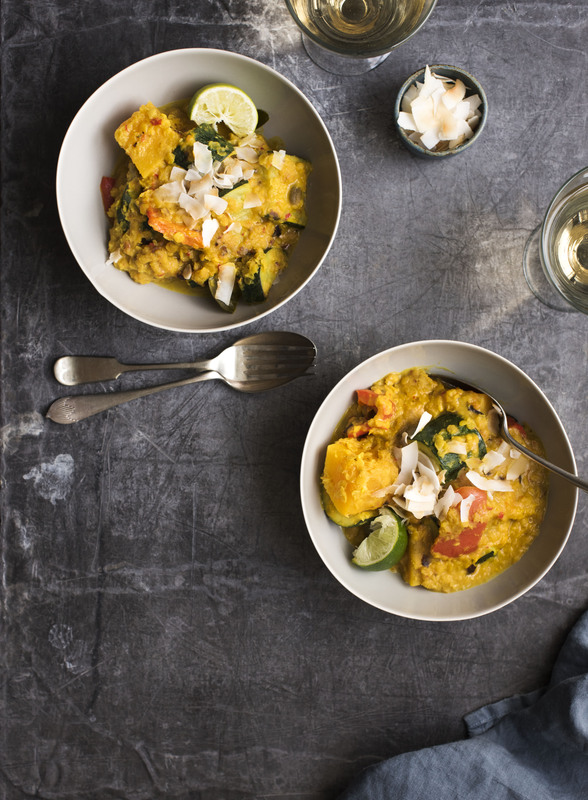 If you are living in a warmer climate then sambar is equally good for you all year around.